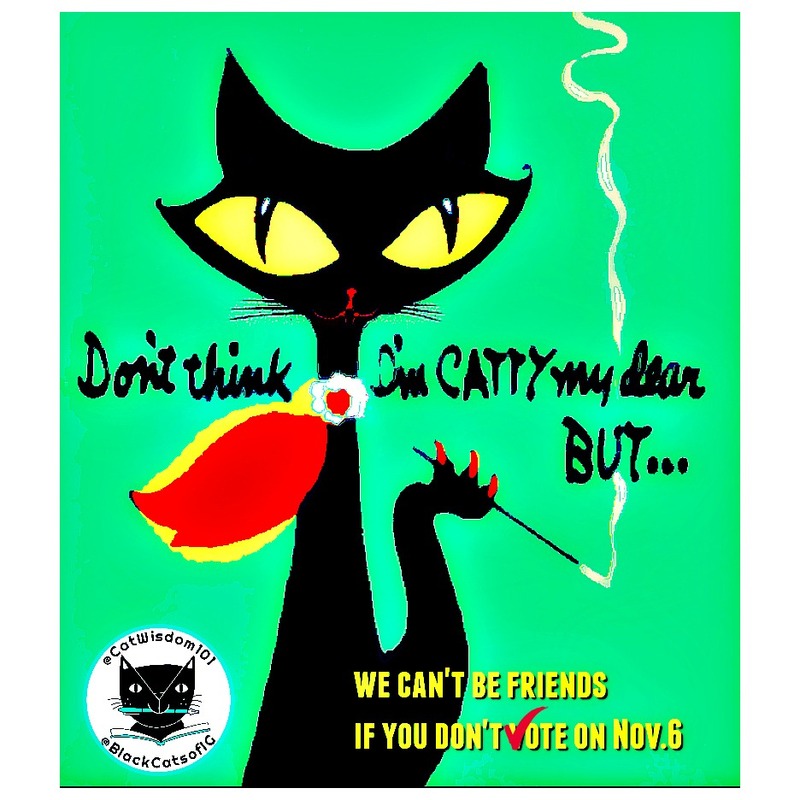 Nov. 6 Cat Wisdom: 9 Reasons To Keep Calm And Vote. 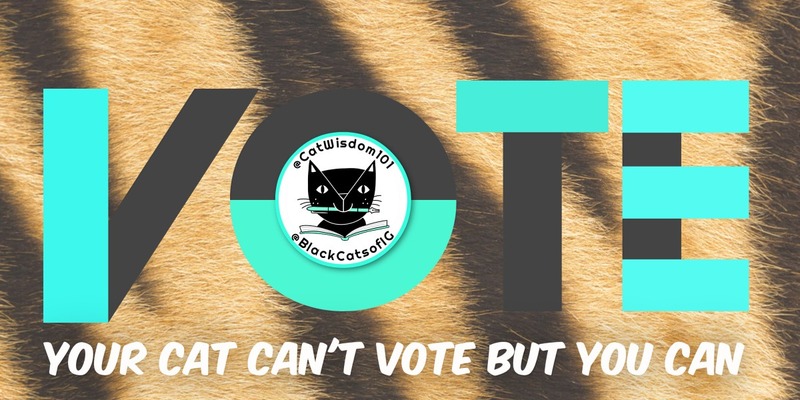 Us Cat Wisdom 101 cats are here to meow about one message and only one important word today: VOTE. 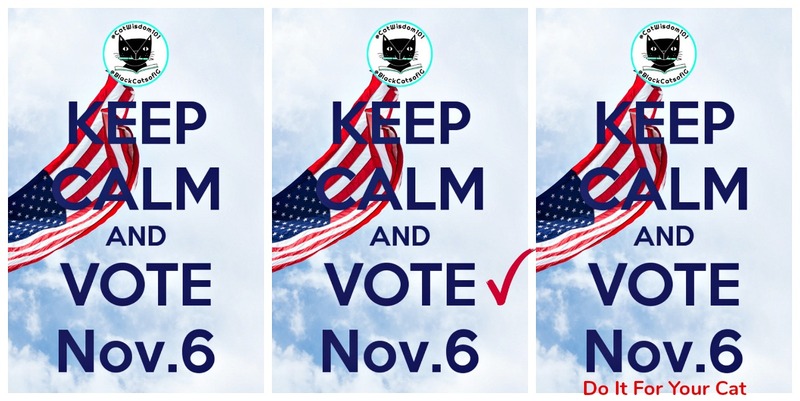 If you are a U.S. citizen and waffling or wondering if you should vote on Tuesday, Nov.6., here are 9 reasons to keep calm and vote. Plus 3 free voting hashtag groups. Your vote counts at a critical time in this country’s history. 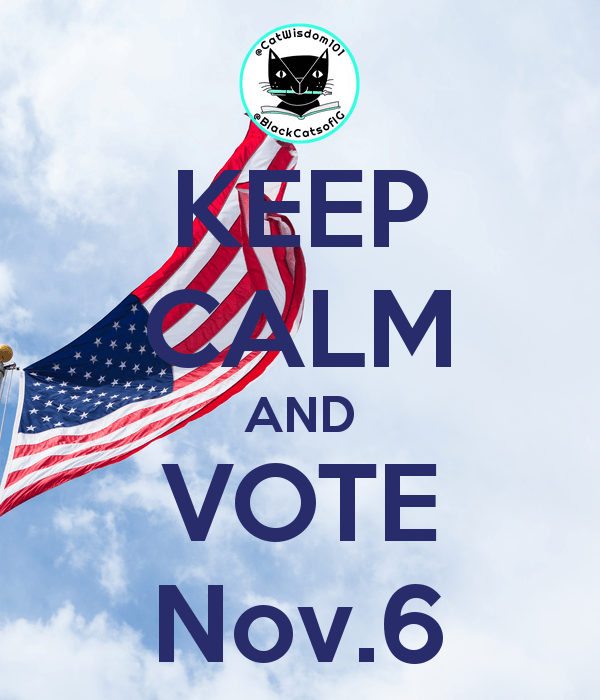 If you’re tired of the direction of recent politics, you have a voice, please use it by voting. There is no point complaining about it on Facebook saying there’s no use or what difference does one vote make? It makes all the difference and while you’re at it, pick your favorite graphic (designed by Layla) and share it with a friend. There is something for every taste from vintage inspired, modern, minimal or traditional. 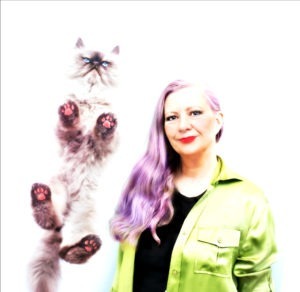 They are politically party neutral but all are cat-centric. Thank you and stay calm. We can and must create positive change. Your cat is depending on you! We mean it. No excuses. And are you are annoyed by stupidity as much as we are? We need a dose of sanity, yes? Seriously, we joke about cats doing everything. 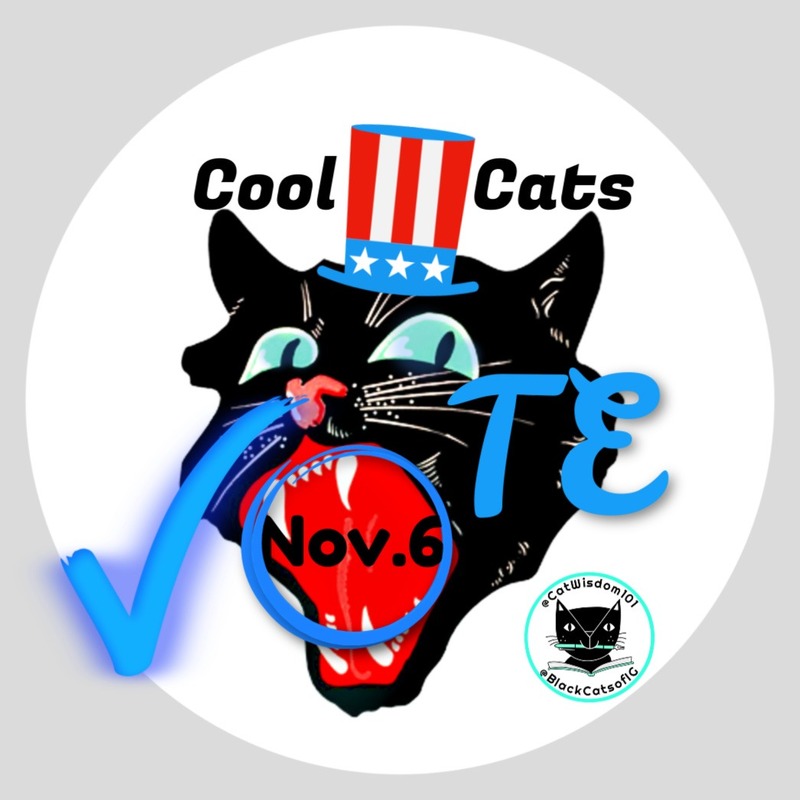 We can blog, write books, model clothes, sell products, advocate for causes but we can’t VOTE! 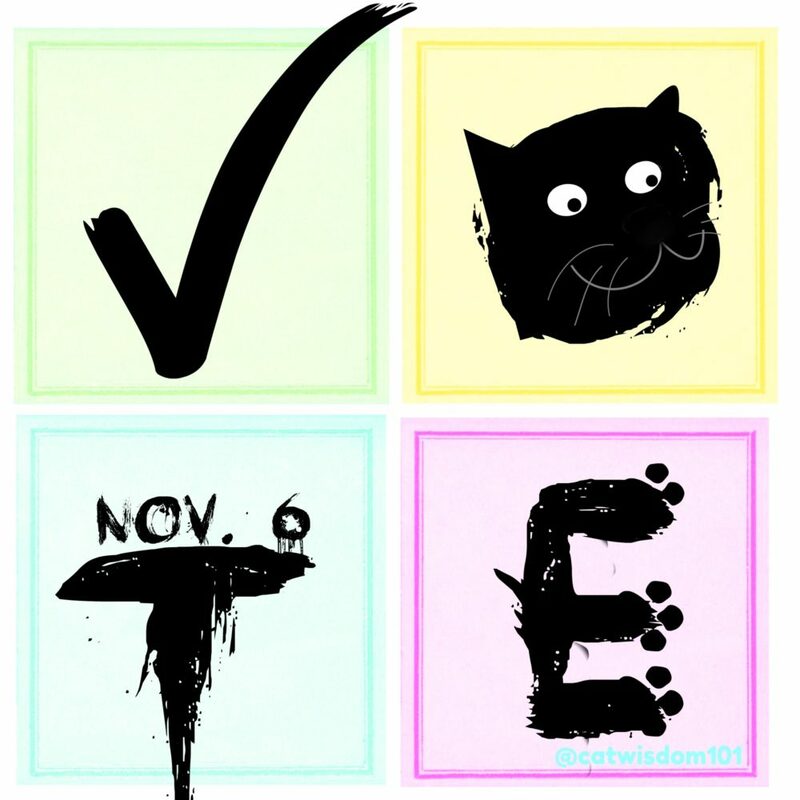 We need you for food, treats, love, playtime and to vote on our behalf. Please do or we will be extra annoyed and can’t predict what will happen. Who said cats are manipulative? Not us. 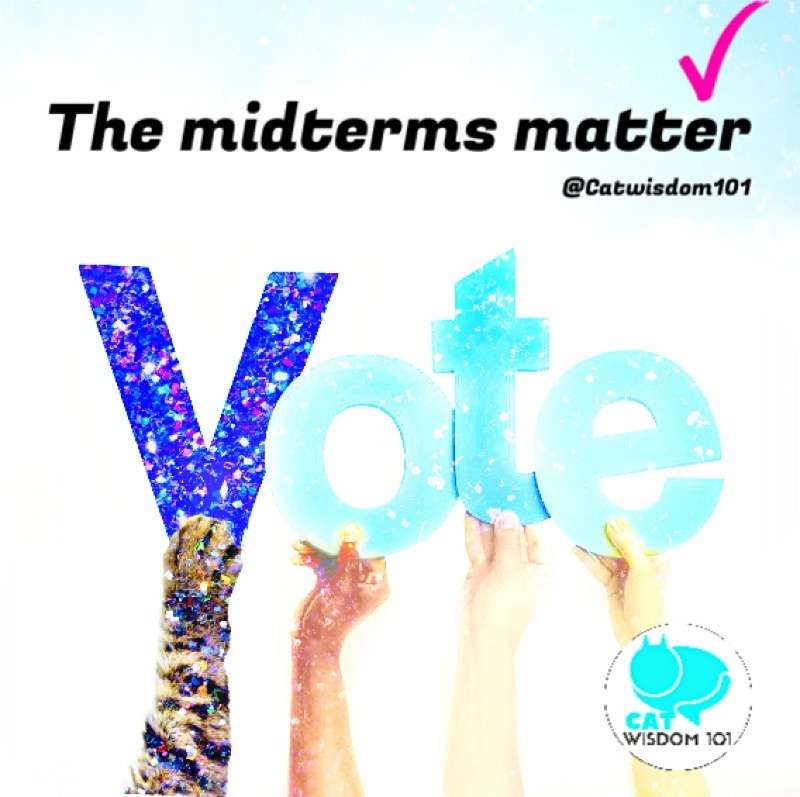 The midterms matter and you matter to us. We really, really need a reason to celebrate. Sometimes square works but on Facebook and Twitter, this size works better. Voting hashtag groups. Instagram allows up to 30 hashtags per post. I prefer to divide them into smaller groups with group size mix from niche to large. One group goes in the post and one or two in the comments. Mix and match but choose wisely. While hunting for hashtags on Instagram, I spent some time looking at #redwave Republicans to better understand the divide. These are accounts I never visit as I prefer to stay in my liberal kitty bubble but I’m glad I did. Scarier than anything at Halloween. If you are planning to vote red, check out the hateful #votered #redwave posts and comments on Instagram. The GOP is attacking, name-calling and accusing what they call libtards with unnecessary vitriol. We need more kindness whether you’re black, white, red, blue or purple. It galvanized my resolve to get everyone out to the polls. If you can’t vote, get your friends who can out to the polls in a BIG blue wave. No one does it like Oprah but every single vote counts. I’ve been married to an American for 17 years, have permanent U.S. residency status but I’m not allowed to vote because I’m not a U.S. citizen. I’m a proud Canadian and Finnish citizen and want to live in a country less divided by fear, anxiety and hatred. Thanks for sharing this important message. Only my sons and hubby can vote in this family of four…I too am a permanent resident, since 1987…but still: A Canadian Citizen! No dual citizenship? Pop has a hashtag too #VoteLikeYourCountryDependsOnIt. We are scared between election hacking and voter suppression nothing is a sure thing anymore. I have dual citizenship (Canadian and E.U.) but not U.S. The humans here always vote! 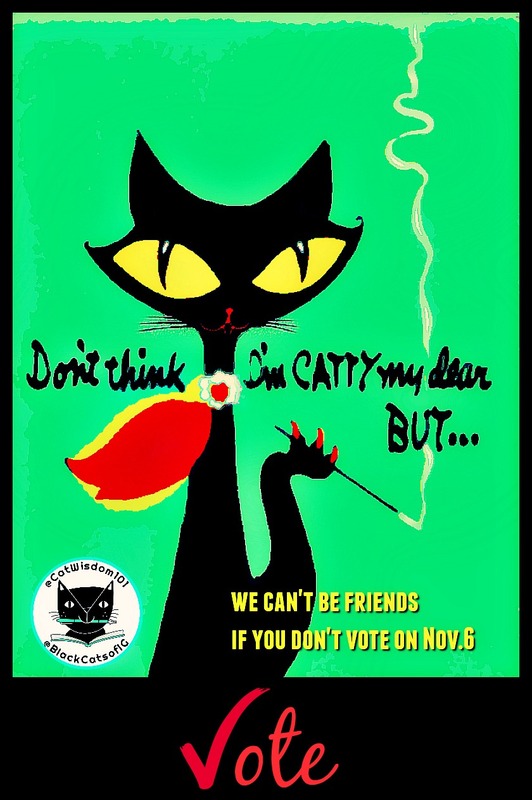 I’d vote too, but I guess they just consider kitties Permanent Residents too, because apparently we aren’t allowed either. Great post Layla. Always so shocking to me how many people don’t vote when you think of how many Americans have died over the years to protect that right. You wonder what they would say. Indeed. Voting is a privilege. It was great to see a record turn out this year. My hubby and I ALWAYS vote and I made sure my niece registered as soon as she turned 18. 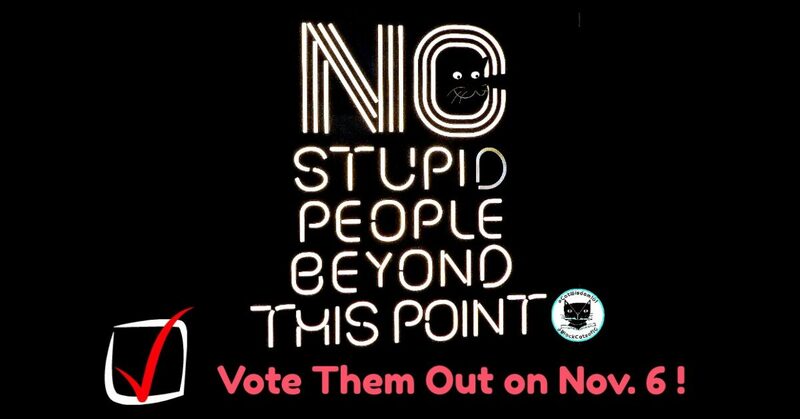 By NOT voting, you are still voting but giving your power to someone else! I’ve already cleared it with my boss; voting happens first, then I come into the office! I have my choices printed out (there are too many to remember), and it’s in a safe location for quick retreival before heading to the polls! Wow, you’re super dedicated and organized. It’s true any non-action is in fact an action. 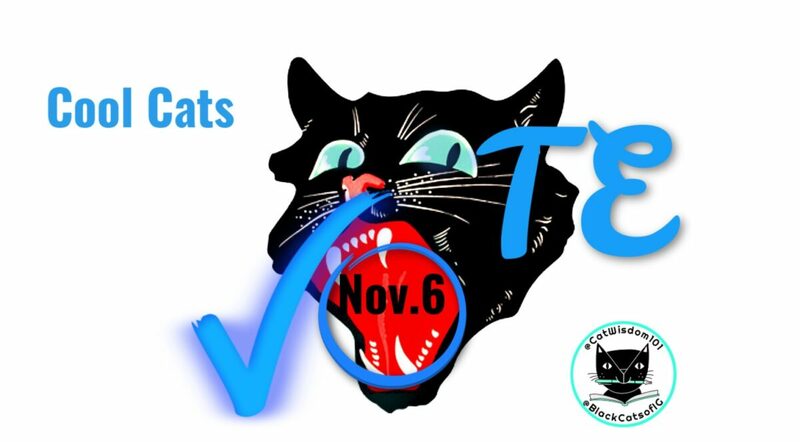 Thanks for the PURR THE VOTE reminder. We are blessed in so many ways and the right to vote is only one of them. We all vote for PEACE ON EARTH FOR ALL LIVING BEINGS!!! PAWS UP! When is your next election in France?